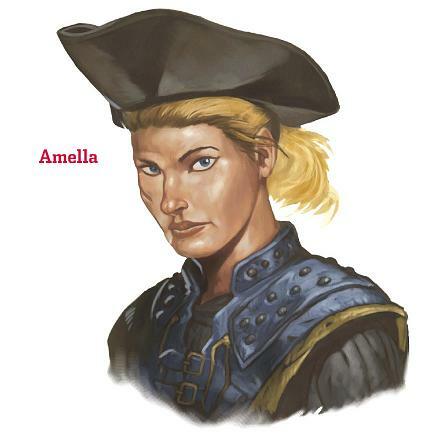 Captain Amella Former captain of the pinnace Nightbreeze, now serving as First Mate aboard the Sea Wyvern. A pretty woman with a scar on one cheek, she lost her first husband to pirates. 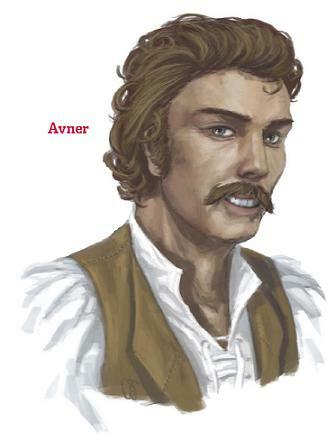 Avner Merevanchi A pompous nobleman aboard the Sea Wyvern who financed a portion of the expedition. Popular with the women (who are in return popular with him). Barlicc Boatswain of the pinnace Nightbreeze, serving under Captain Amella. Skilled at ship handling in treacherous waters. 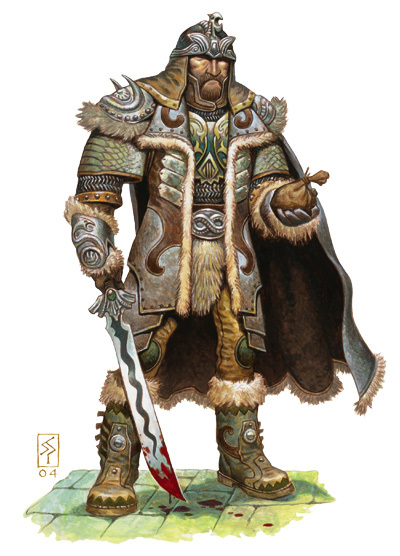 Belegard A Lapaliiyan mercenary petrified in the jungles of Chult more than 50 years ago, rescued by the party and joined the expedition to the Isle of Dread. Gave his life defending the passengers of the Sea Wyvern from the horrors of Journey's End. 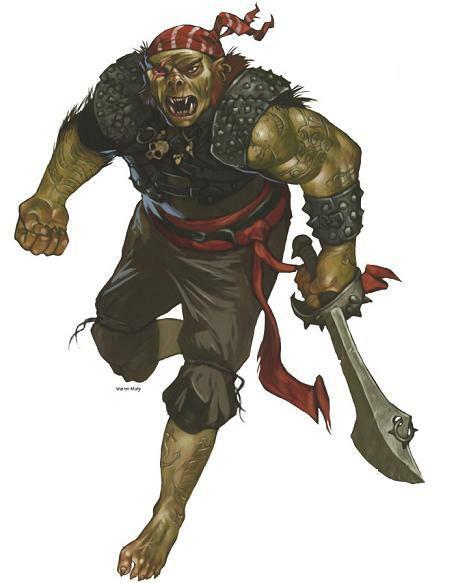 Drevoraz Kabran First mate to Captain Harliss Javell, sent to Vanderboren Manor to kill all within with the help of a tribe of bullywugs. Captured by the party. 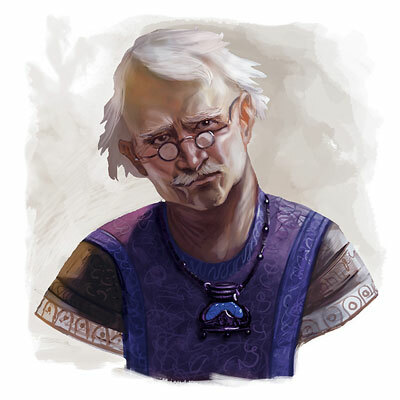 Professor Evrik Aldwattle An elderly wizard, alchemist, and member of the colony of Farshore's ruling council. His life was saved during a pirate raid by Laurren's healing magic. 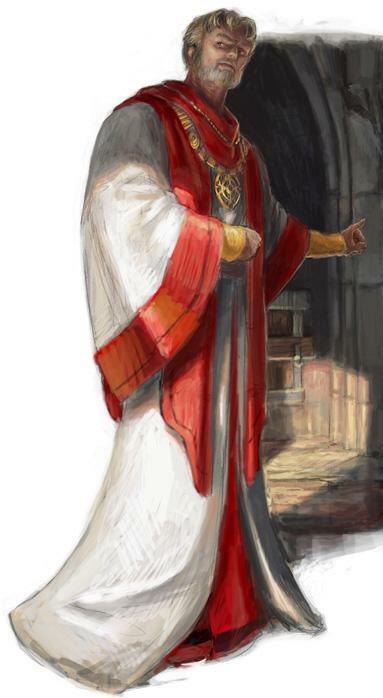 Father Feres (aka Conrad Horst) A soft-spoken but polite priest of Lathander aboard the Sea Wyvern. Departed at Port Nyanzaru, but quickly rejoined the expedition. 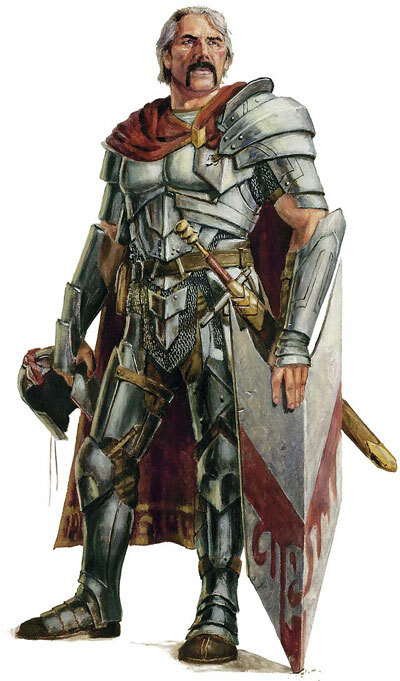 Later revealed to be a con man named Conrad Horst fleeing justice in Baldur's Gate. 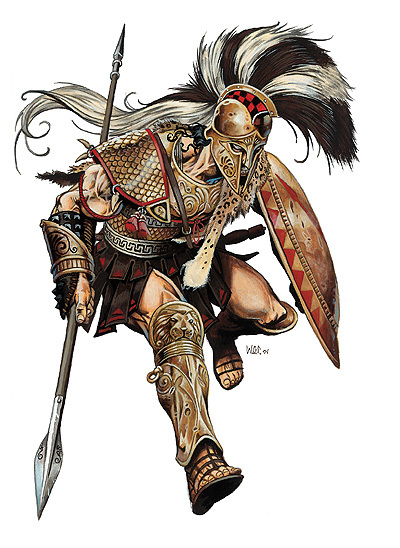 Gaerxon A spear-wielding Chessentan mercenary petrified in the jungles of Chult more than 50 years ago, rescued by the party and joined the expedition to the Isle of Dread. Grekkle The lead hunter of the phanatons on the Isle of Dread. 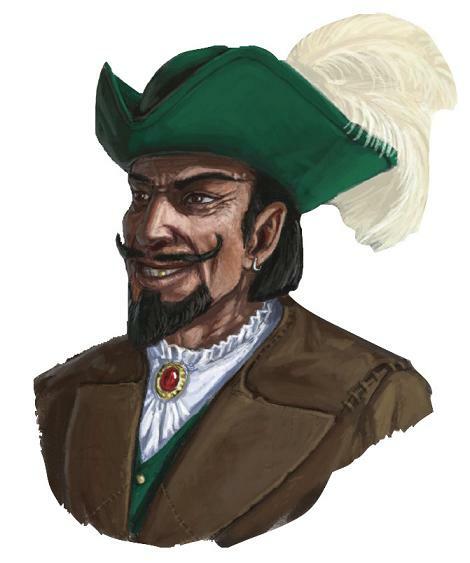 Harliss Javell A captain of the fearsome Crimson Fleet who the party aided in a fight against savage pirates in Kraken's Cove. Sent assassins to Vanderboren Manor in retaliation for Vanthus' raid on her ships. Heldra Kellani Matroness of the Tashlutan noble Kellani family who was once an adventurer (some say pirate) in her youth, and rumoured to have not quite abandoned some of the questionable links in her past. 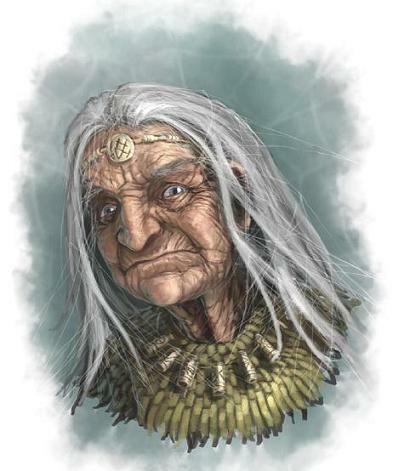 J'Kal The elderly zombie mistress of the Tabaxi village of Tanaroa on the Isle of Dread. 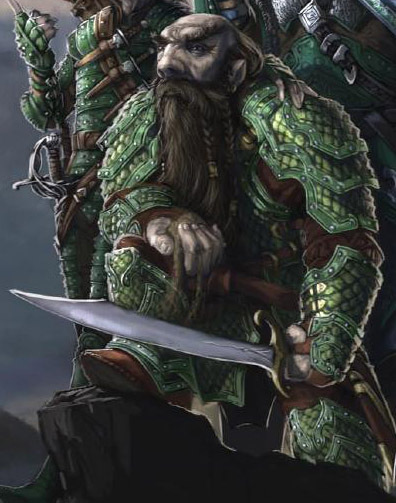 Kaskus Kiel The only gold dwarven member of the Jade Ravens adventuring group, he is a druid with a deep love of the mountains and an equally deep hatred of slavery. Kora Whistlegap A halfling servant in Vanderboren Manor. 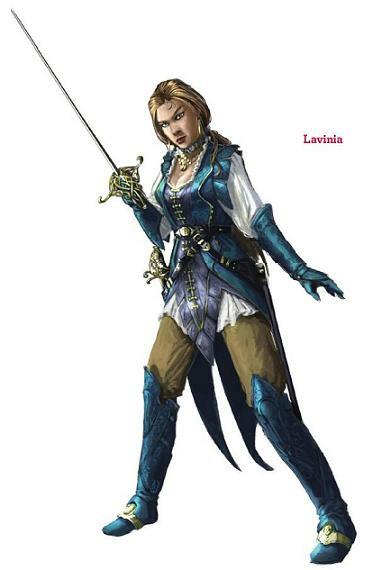 She helped several members of the party find suitable outfits for the ceremony when presented with the Tower of Tashluta. Slain by bullywug assassins sent by Harliss Javell to kill Vanthus Vanderboren. 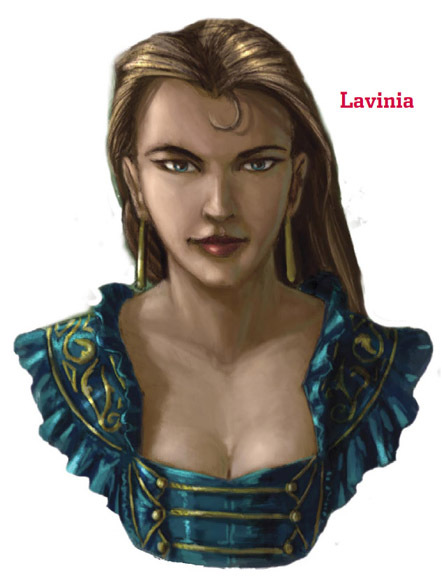 Lavinia Vanderboren (original) (recent) A beautiful young noblewoman from Tashluta who is the party's current employer. 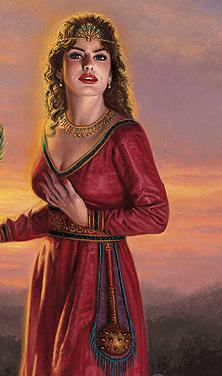 Her parents were slain by her brother when their ship was set afire. She is in a relationship of some kind with Memnon. Liamae Teslikaria A haughty woman from some northerly clime, she a capricious sorceress in the Jade Ravens adventuring group. 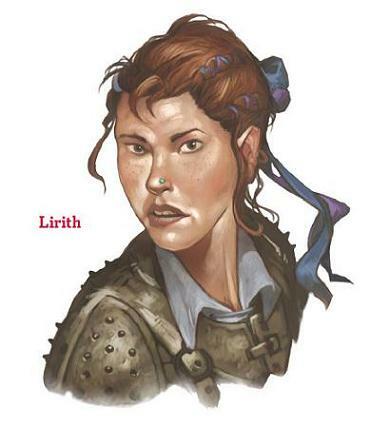 Lirith Veldirose A flamboyant, red-haired tomboy aboard the Sea Wyvern. Seems to be quite attracted to Azaad. Lithira A mysterious shapechanger encountered on the Isle of Dread in an area of ancient stone ruins inhabited by spiders. Gave friendly advice in return for tales of Faerûn. Lord Mayor Manthalay Merevanchi Financial backer and current Lord Mayor of the colony of Farshore, vying against Lavinia Vanderboren for Lord Mayorship of the colony. 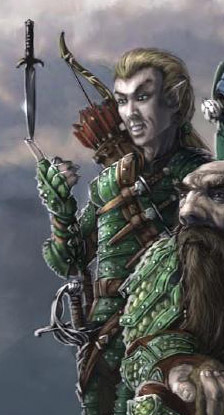 Nemian A taxidermist in Tashluta whose business was a front for the Lotus Dragons thieves' guild. Captured by the party, but later escaped. 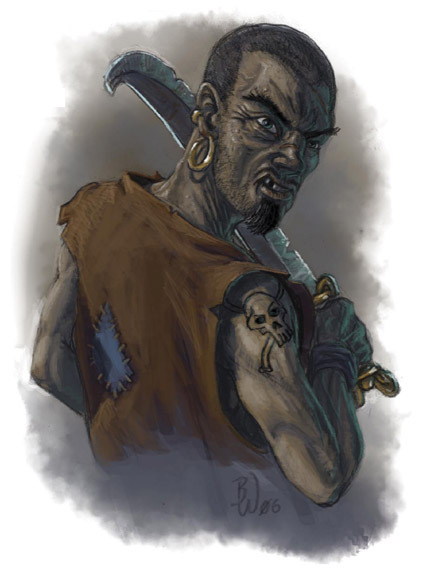 Penkus A semi-notorious criminal reknowned in Tashluta for his drunken binges and violent temper. Killed by undead in the smuggling tunnels under Parrot Island after being trapped there by Vanthus Vanderboren. 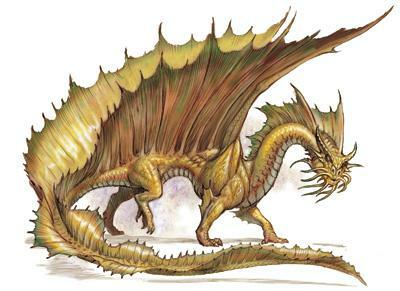 Qismairadiyah A mature gold dragon on the Isle of Dread known to the Tabaxi as 'Ceyoal-Tlamani' (Night Hunter) due to her nocturnal attacks upon their zombie-protected burial grounds. Rowyn Kellani (original) (recent) Scion of the Tashlutan noble Kellani family as well as former leader of the Lotus Dragons thieves' guild. Battled the party but escaped via magic, only to return to plague the party on their voyage to the Isle of Dread. Killed in the shipwreck of the Sea Wyvern? 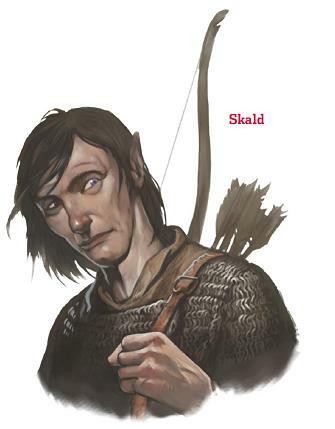 Skald A pale-skinned, hunch-shouldered not-quite-human who travelled aboard the Sea Wyvern. While distrusted by most of the other passengers and crew, he gave his life defending them from the horrors of Journey's End. Soller Vark A foul-mouthed criminal encountered in Tashluta's waterfront, now jailed thanks to the party. 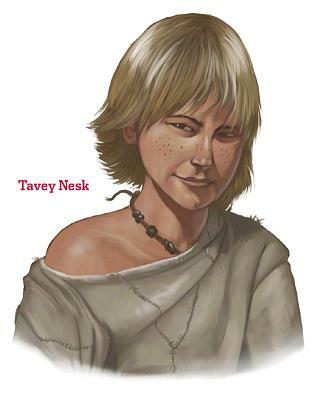 Tavey Nesk The young and cheerful cabin boy aboard the Sea Wyvern. Teketek The Chieftan of the phanatons on the Isle of Dread. 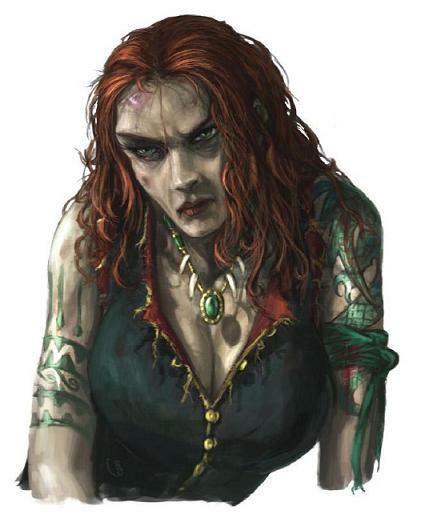 Telda Syren A skilled herbalist in the colony of Farshore, where she is also a member of the ruling council. Saved by the party from a terrible fate at the hands of savage pirates. 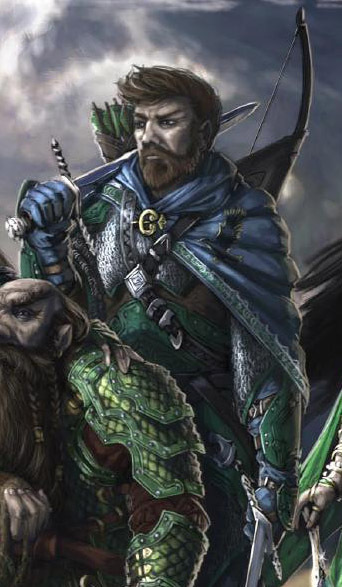 Tolin Kientai The handsome yet brash leader of the Jade Ravens adventuring group. 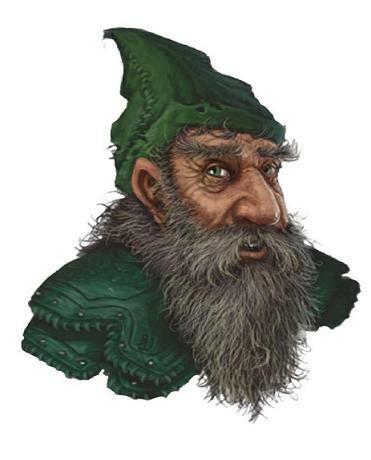 Ulrimm Flammath A bent, squinting old gnome aboard the Sea Wyvern who it's best to stand upwind of. Chipper, and a total nature geek. Militia Captain Ulvar Kabbanja The surly and taciturn leader of Farshore's militia. Also a member of Zelkarune's Horns, an elite hunting organization based in Tashluta. 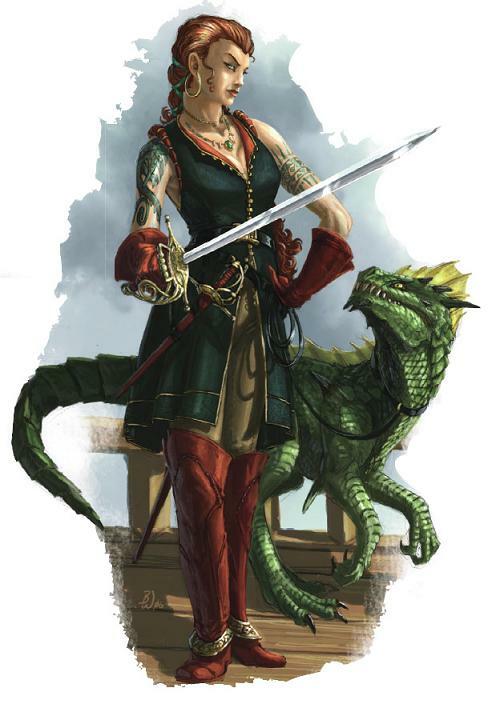 Valyssa Turrock An adventuring mage based in Tashluta who also enchants weapons and armor in between her excursions into the depths of the jungles of Chult. 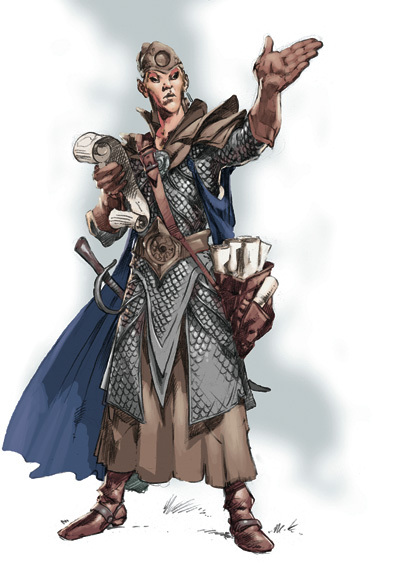 Vanthus Vanderboren The ruthless brother of Lavinia Vanderboren, so far always one step ahead of the party. 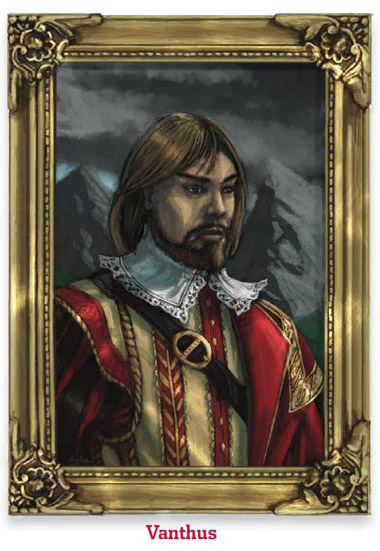 Burned his parents to death on their new ship, then stole their fortune from the family vault. Chaplain Vesserin Catherley Priest of the Triad (Tyr, Torm, and Ilmater) at the chapel of Farshore, member of the colony's ruling council, and member of the secretive Church of the Whirling Fury organization. 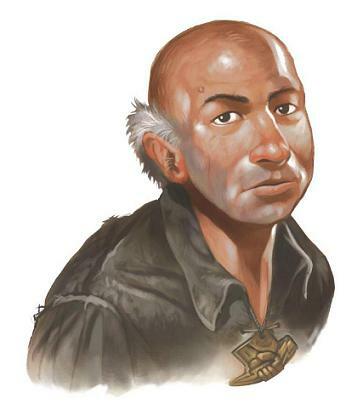 Worrin Lidu Patron of the Tashlutan noble Lidu family and leader of Tashluta's ruling Dawn Council. Met briefly at a banquet/ball thrown in the party's honour. Zan Oldavin A jaunty, flamboyant half-moon elf member of the Jade Ravens adventuring group who takes perhaps too keen an interest in his dagger collection. Zebulon Merevanchi Scion of the Tashlutan noble Merevanchi family whose tastes run to the decadent and extreme ends of entertainment.